Desktop electric letter opener automatically opens mail when inserted for easy one-hand operation. Accepts standard-sized business envelopes. Blades are fully-enclosed to protect fingers. Nonskid rubber suction feet keep machine in place. Low noise operation makes it perfect for any office environment. 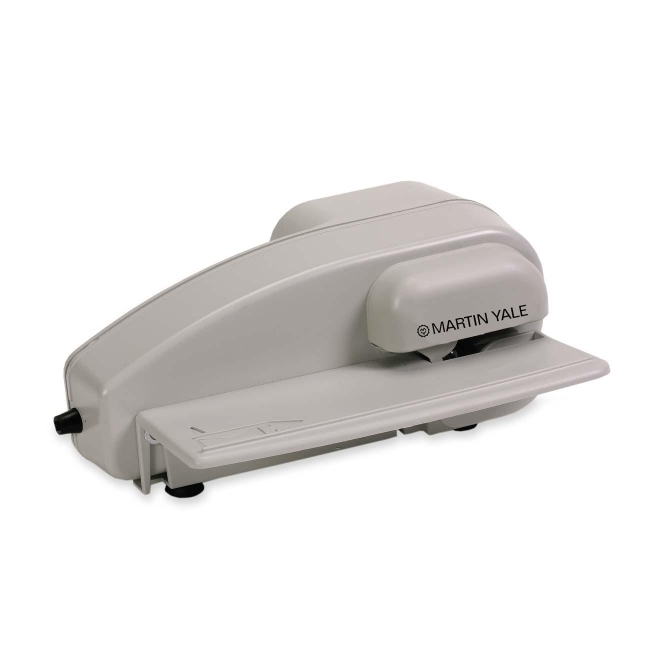 Electric letter opener is ideal for small to mid-size businesses.